That was a year ago in January, 2015, and at the time they only had two teas available: Mango Sticky Rice and Pandan Chiffon. I bought both of them. And, at the time the teas were only available in cute tea caddies (I think). I believe they only opened in December 2014 so when I placed my order they were just starting out. Now you can get the teas in pouches, which cost less than the caddies, and they currently have twelve teas available. This is the tea that made me want to order because it sounded so yummy! With ingredients of genmaicha, black tea, roasted barley, mango dices & candied coconut bits, I just HAD to taste it! When this tea is steeping I get a whiff of genmaicha with a little sweet undertone. Taste-wise I find I get the same notes which makes it a very smooth genmaicha. I don’t find the mango comes through at all, unless that’s what’s giving it its sweet undertone, but it’s not a fruity sweetness though. I love genmaicha so I’m still really happy with this tea. The smoothness that comes from the subtle sweetness makes it unique. This tea is inspired and named after a dessert cake: Pandan Chiffon. I have no clue what that is, but the ingredients sounded like it would be delicious: roasted green tea, cinnamon, pandan leaves, osmanthus. 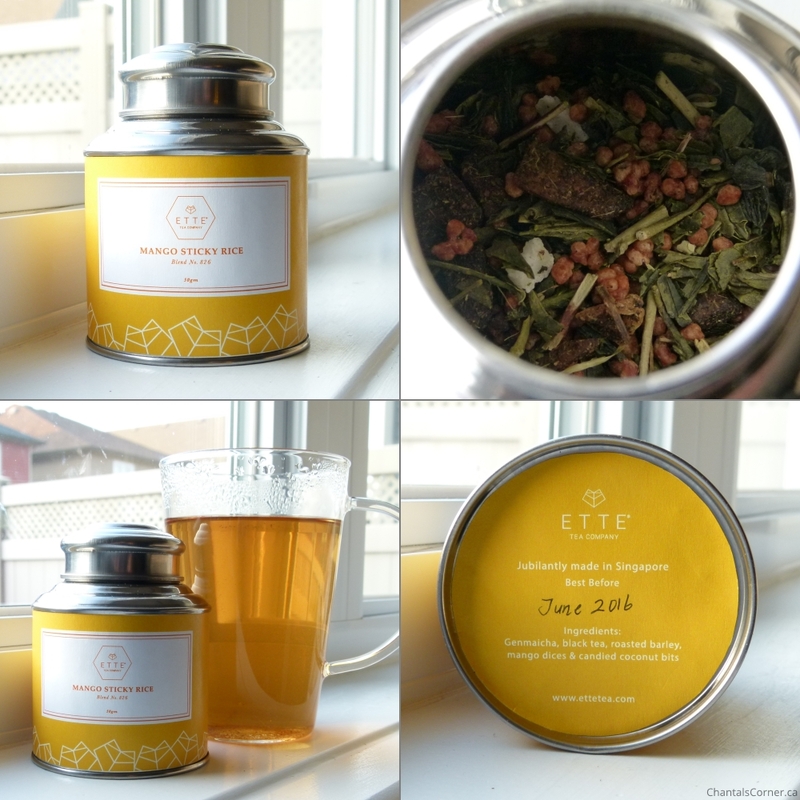 So I decided to order it too – especially since shipping was $20 at the time (it’s a bit less now), it just made more sense to order both teas. While steeping, this tea smells wonderful. It’s sweet, but not overtly sweet, and just yummy. The taste, oh my, the taste. I LOVE IT!!! There’s this subtle sweetness to it that is just SO YUMMY! It’s not a strong sweetness like sugar or vanilla, but mild and wonderful. After looking up both pandan leaves (imparts a warm, nutty, sweet, piney flavor) and osmanthus (has a uniquely sweet and buttery fragrance) I can see where the taste comes from. I just want to roll in it. 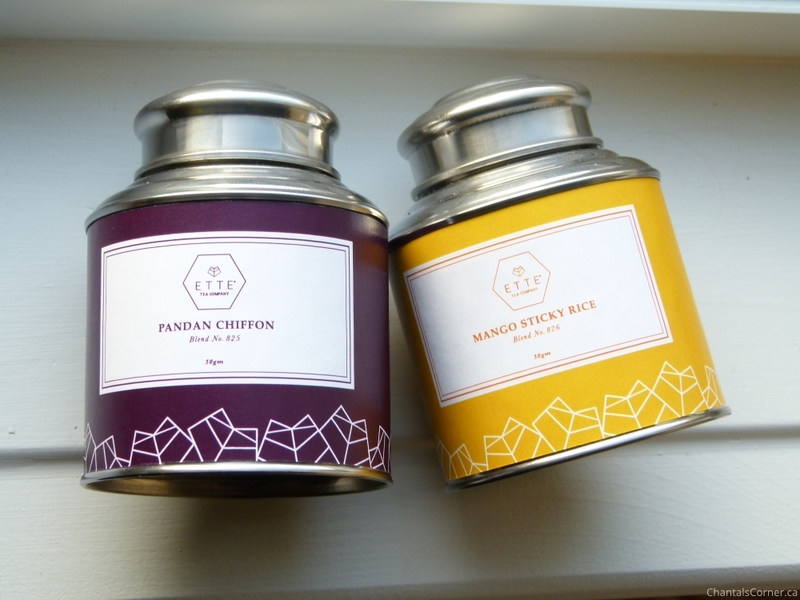 These are two delicious teas and Pandan Chiffon is now one of my favourite teas. I love it THAT MUCH. I will definitely need to order more when I finish it, and I’m eyeing a few other flavours too. 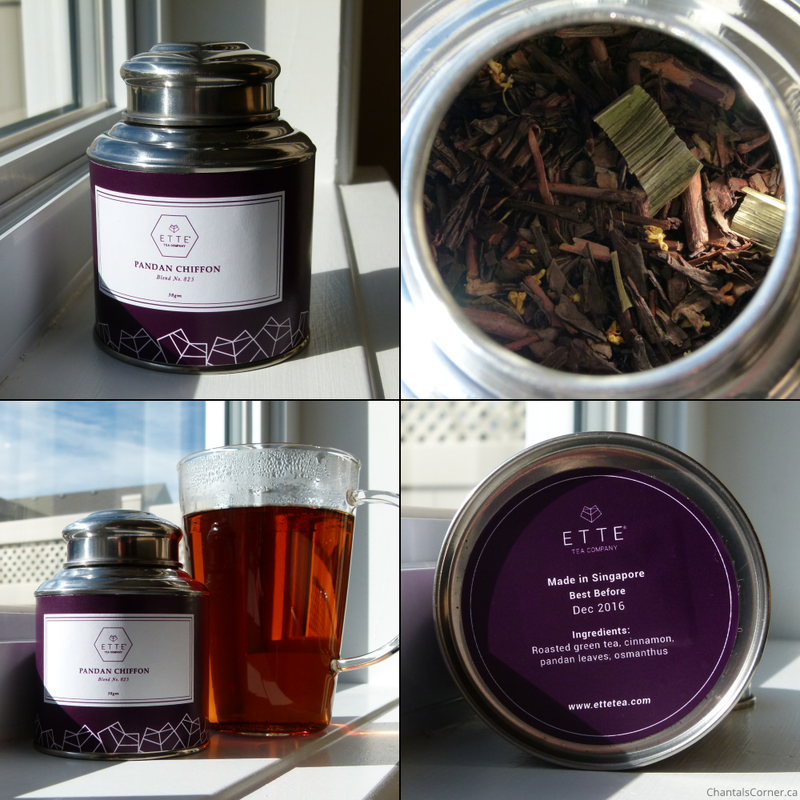 ETTE TEA is definitely worth trying out if you’re a tea fanatic like I am. I’m so happy I discovered them thanks to them liking my picture way back when.